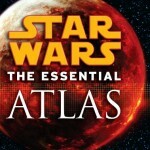 My review of Star Wars: The Essential Atlas is up at GameCryer.com. While not an official source book for Star Wars: Saga Edition, I strongly recommend that game master’s at least check it out. This book has extensive maps of the entire Star Wars galaxy, including the Deep Core, Core, Colonies, Inner Rim, Outer Rim, and other major regions, as well as time line maps depicting major events like the Mandalorian Wars, Jedi Civil War, the Clone Wars, and the plots of all six movies. Great stuff and an excellent in-game reference to give players a sense of the galaxy’s scale. I’ve added an index of Bonus Feats from the various source books to the site. This should be particularly helpful for the party’s scoundrels, who had a serious deficiency of skillful bonus feats.